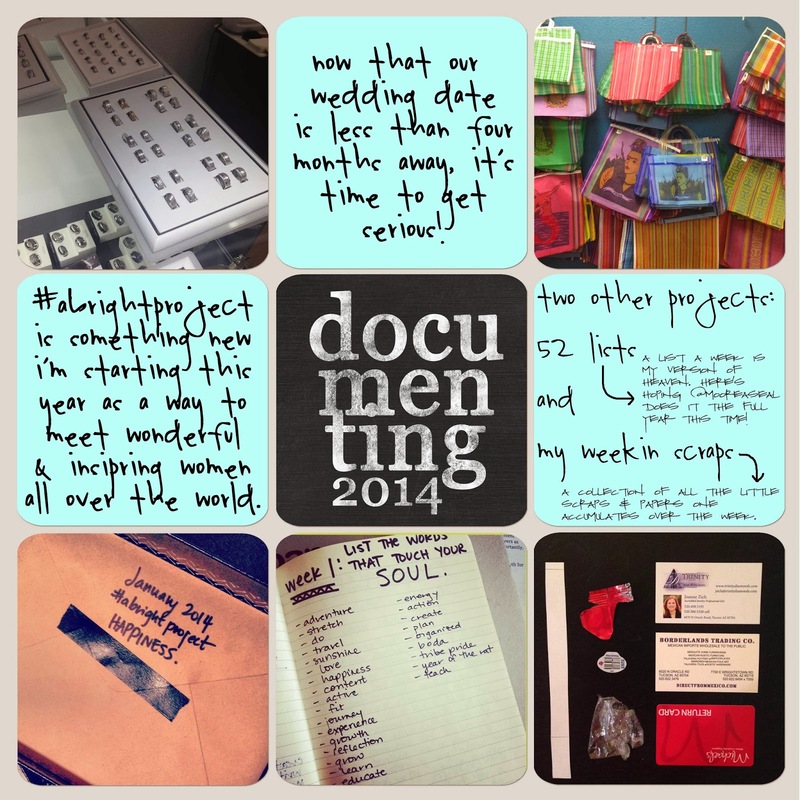 i scream for sunshine: 2014 -- week 1 of #projectlife -- a whole new way of setting goals! 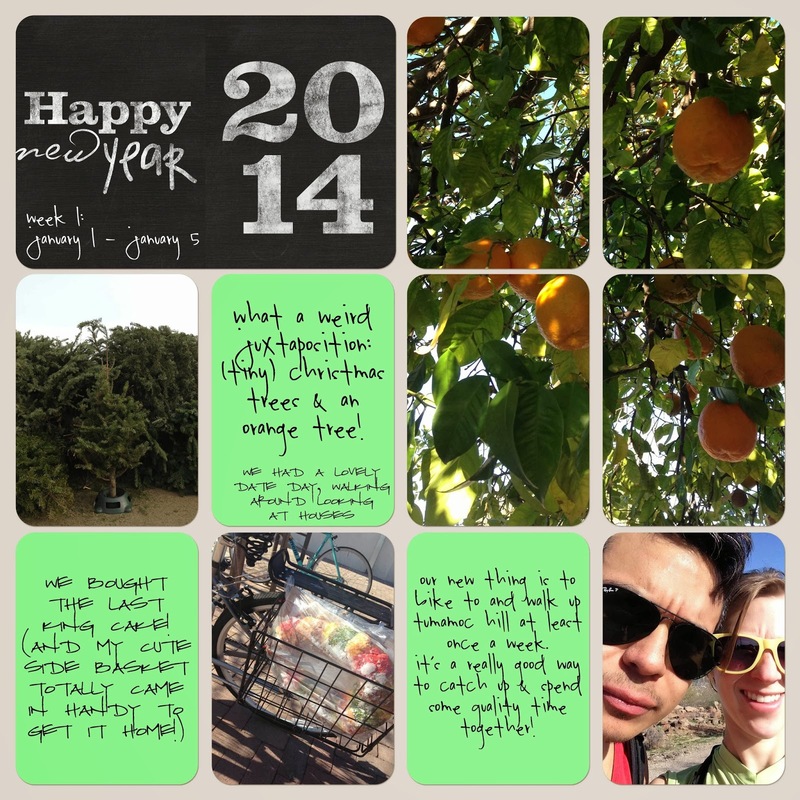 2014 -- week 1 of #projectlife -- a whole new way of setting goals! i have some big goals for 2014. i think we all do, right? every year we start out thinking "this year will be the year i pull it together", but do we actually succeed? how many of us have great intentions in the new year, only to be waylaid by life's little distractions? this is even more true when we make big, year-long goals, i think. the idea that your life and needs will be the same at the end of the year as they were in the beginning of the year is ridiculous, so why do we continue to make these huge, unachievable goals? i'm trying something a little different this year; i'm thinking in smaller chunks. i'm trying to make tiny day-long, week-long, or month-long goals, not big, scary year-long goals. and although the following list of goals, certainly looks big and scary, i take each goal one day at a time. and i've found some little tools to help me reach these goals: a large monthly planner (like this one, only mine is handmade) in an awesome new notebook, fancy pens, and a fitbit. why a calendar, notebook, pens, and a step counter? because they keep me accountable. how are you setting your goals this year?